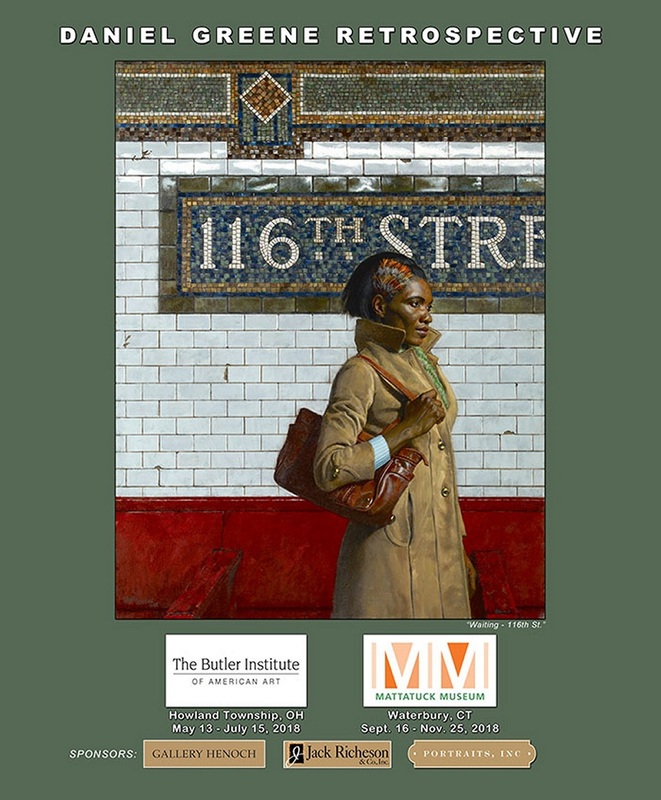 Hudson Valley Art Association Award for "Avi (Waiting) - 18th St."
Daniel Greene has hand selected pastels and brushes for the portrait artist. Please see his Brush Sets and Pastel Sets. Photo by S. Farley for the New York Times. All six Daniel Greene videos are now available in DVD! In 1989, his work represented the United States at the first International Biennial of Pastel in San Quentin, France. In 1992, he was awarded American Artist's magazine's first Lifetime Achievement award in the category of oil painting and the Oil Painters of America Society named him to their Hall of Fame. In 1995, the American Society of Portrait Artists presented the John Singer Sargent award to Daniel Greene for lifelong dedication to the achievement of excellence in portraiture. In May 1999, Mr. Greene was the recipient of the Benjamin Clinedinst Medal of the Artist's Fellowship at a presentation in New York City. In 2001, he was awarded the Gold Medal of the Portrait Society of America. 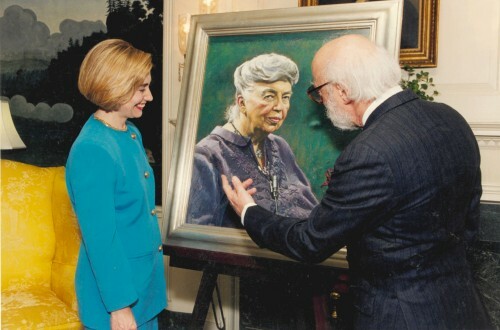 On May 26, 1994 in a special White House ceremony, Mr. Greene presented to Hillary Rodham Clinton a pastel portrait of Eleanor Roosevelt. 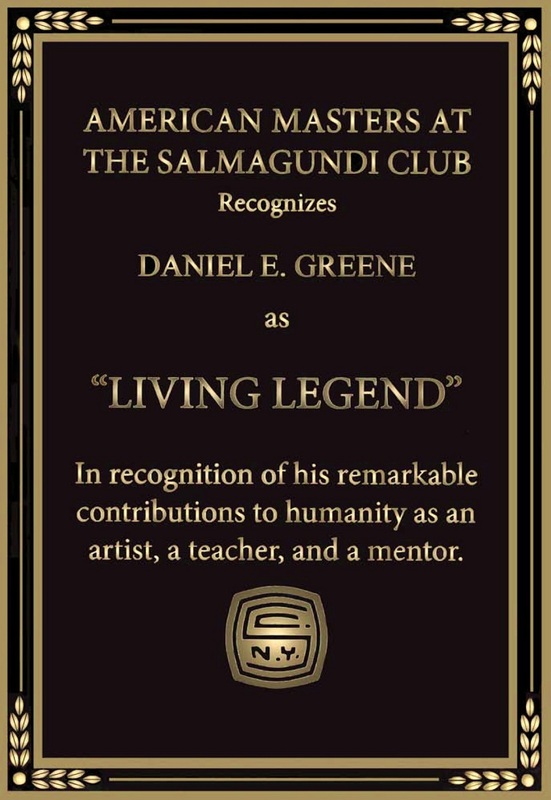 In 2003, Mr. Greene was the annual honoree of the Salmagundi Club and was presented their Gold Medal. 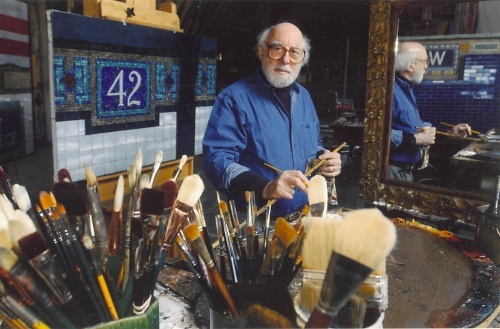 In 2003, Mr. Greene was named a Pastel Laureate by the Pastel Society of the West Coast and was presented with the Joseph V. Giffuni Award by the Pastel Society of America. 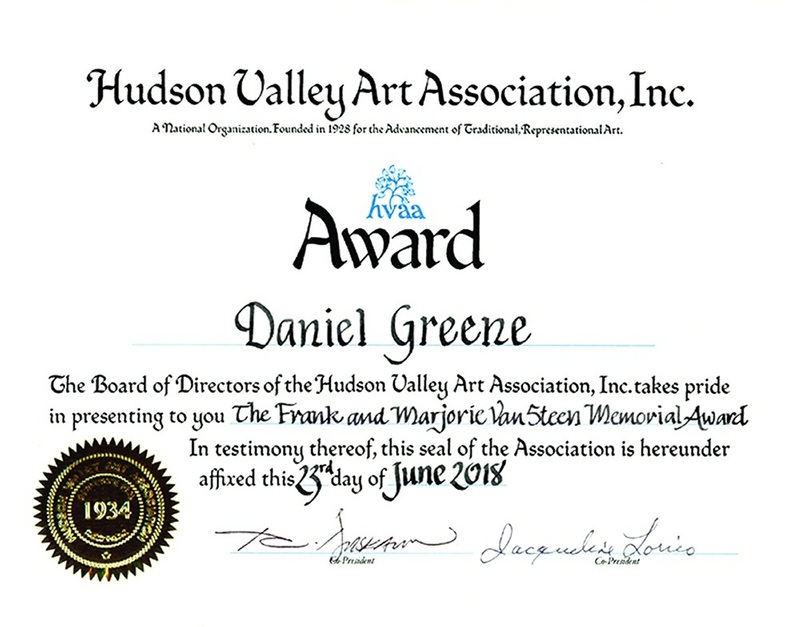 In 2006, Mr. Greene was the Artist in Tribute at the 75th Annual Exhibition of the Hudson Valley Art Association. In 2007, Mr. Greene was presented with the Gladys E. Cook Award for Painting by the National Academy Museum at their 182nd Annual Members Exhibition. In 2007, Mr. Greene was presented with the Great American Artworks Award by the Pastel Society of America and also won First Place for Landscape at the ARC International Salon by the Art Renewal Center. In 2011, Mr. Greene was presented with the Herman Margulies Award for Excellence by the Pastel Society at their 39th Annual Exhibition and also was presented with the Art Spirit Foundation Award by the Salmagundi Club at their 128th Annual Member Exhibition. 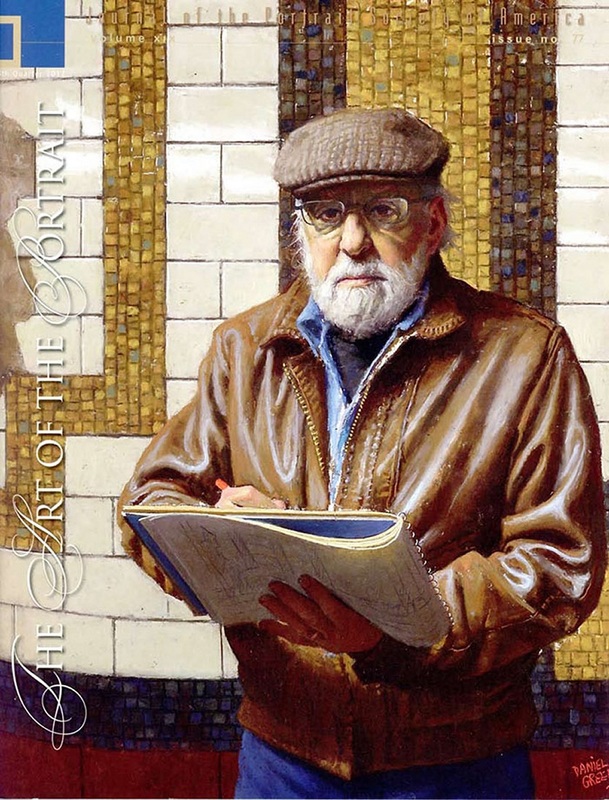 In 2012, the Connecticut Society of Portrait Artists at the conference "Faces of Winter - A Daniel Greene Festival" honored Mr. Greene with their Lifetime Achievement Award. Also in 2012, Mr. Greene was presented with a Distinguished Artist Award by the Oil Painters of America at their 21st Annual National Juried Exhibition of Traditional Oils and was presented with the Gene Magazzini Memorial Award for Traditional Oils by the Salmagundi Club at their 129th Annual Exhibition. 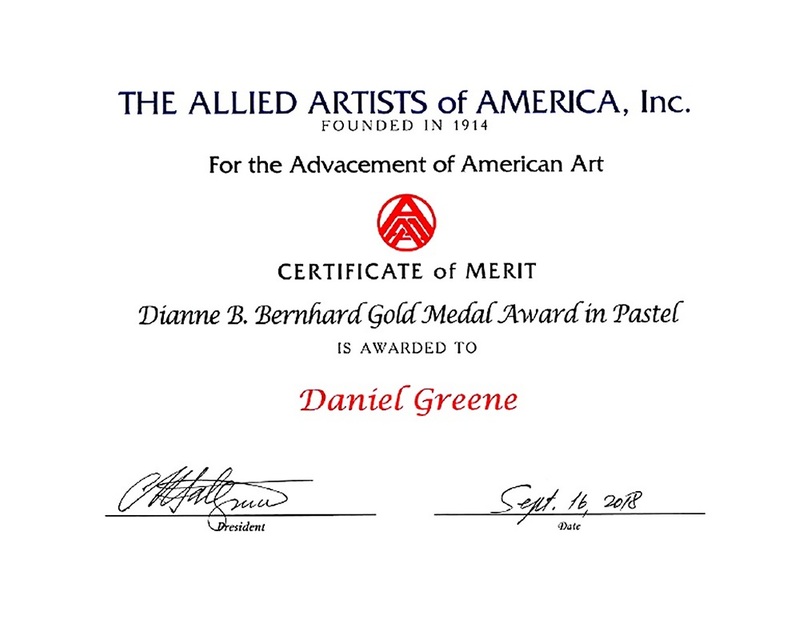 In 2012, the Pastel Society of America at their 40th Annual Exhibition also presented Mr. Greene with the Jack Richeson Gold Award. Mr. Greene's paintings and pastels are in over 700 public and private collections in the United States and abroad. He has been the recipient of the Elizabeth T. Greenshields Foundation grant and the Anna Lee Stacey Foundation grant. 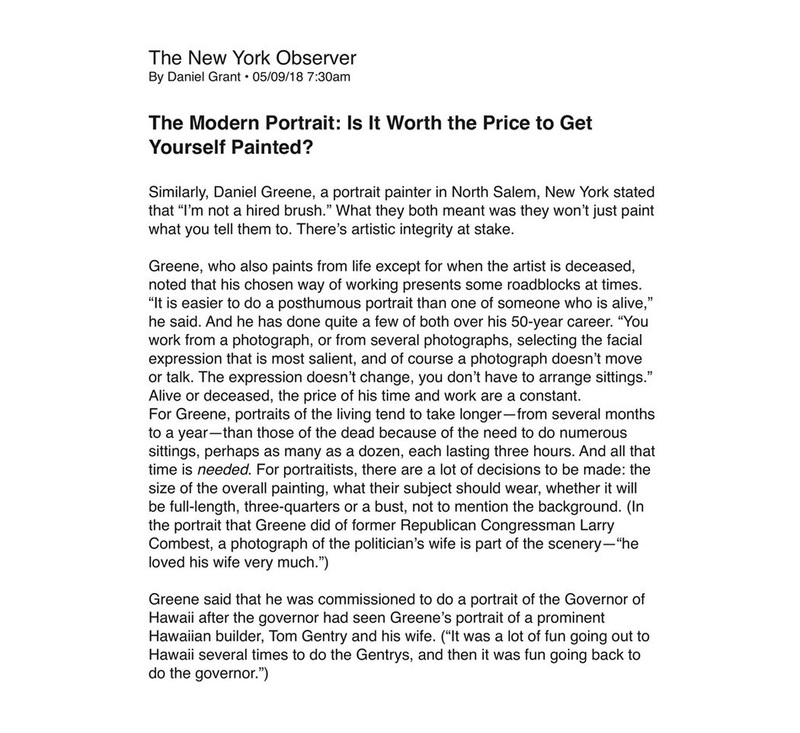 A retrospective exhibition of Mr. Greene's paintings and pastels was held in 1987 at the Hammond Museum in New York. 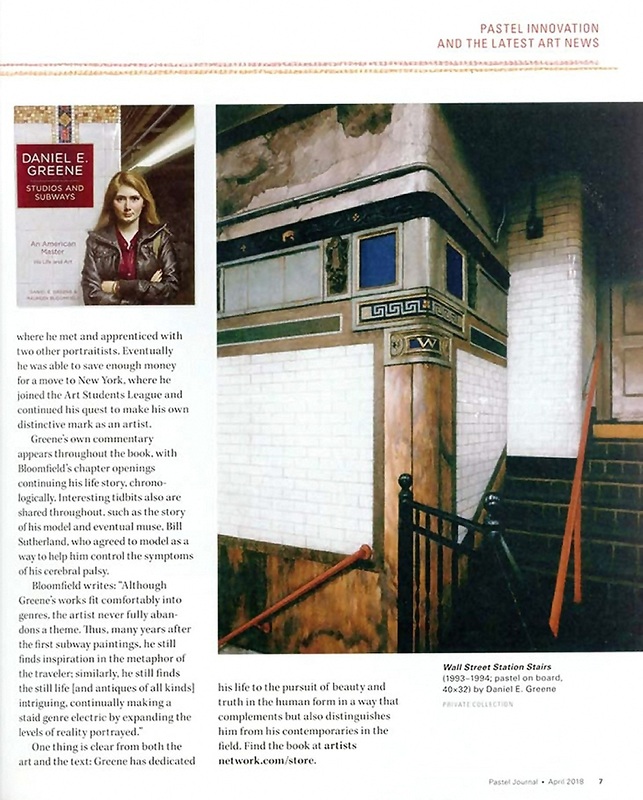 Five highly successful exhibitions of Mr. Greene's subway series appeared in New York and were featured on ABC-TV, Fox News, PBS, CNN, New York 1, NHK TV Japan, and in over 50 international magazines and newspapers. One exhibition "Subway Paintings" at the New York Transit Museum at Grand Central Terminal was the inaugural event in the centennial year of the New York subway. 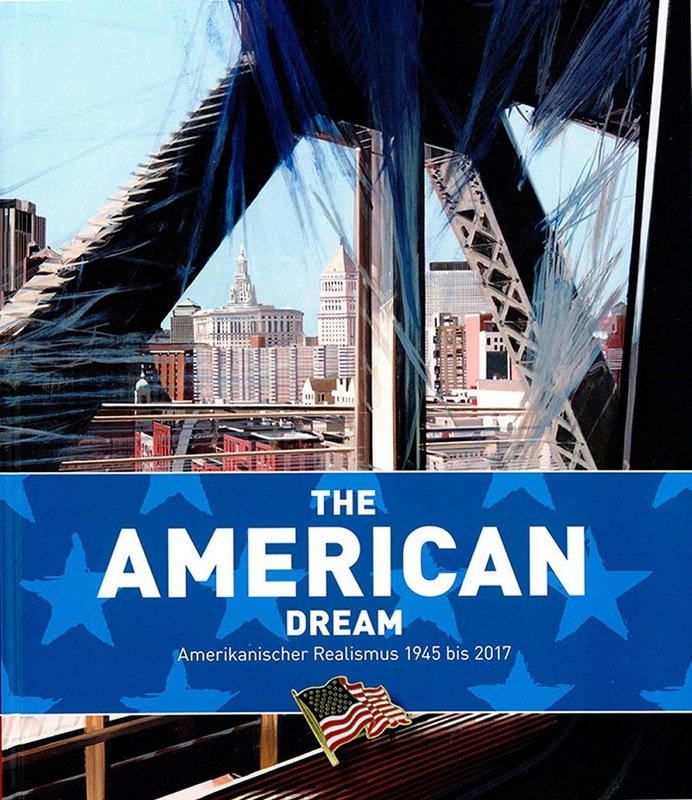 Mr. Greene has been the featured artist in American Artist magazine 15 times. Articles about his work have appeared eight times in the Artist's Magazine. 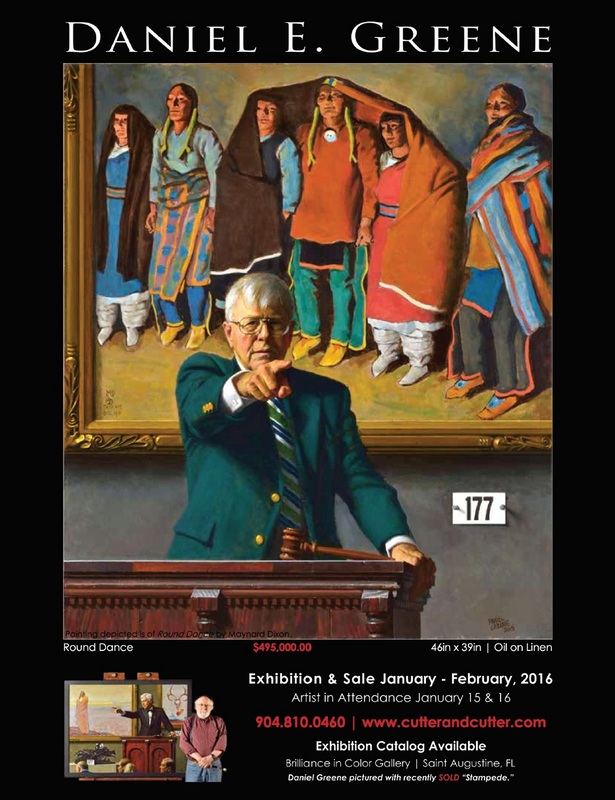 Favorable reviews have appeared three times in Art News magazine. 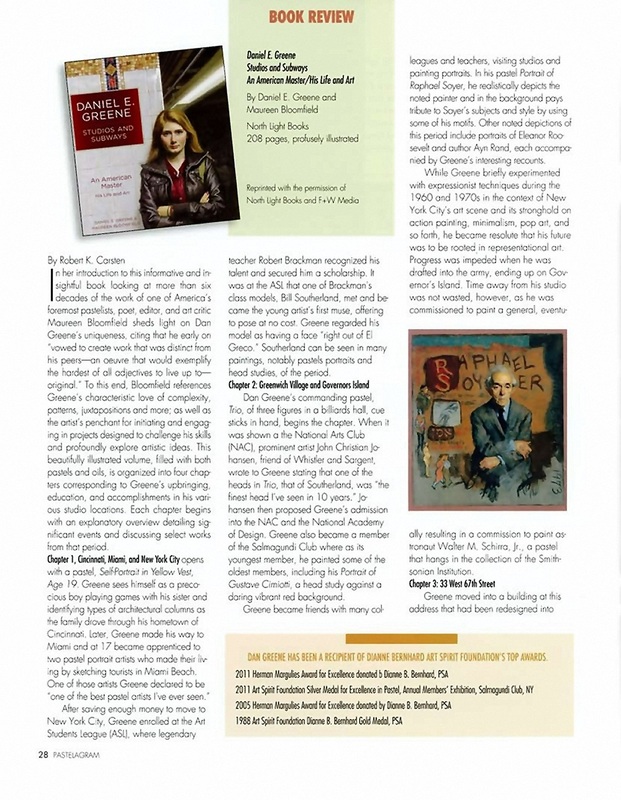 In February 1999, Mr. Greene's paintings were featured in a cover article of the International Artist magazine. 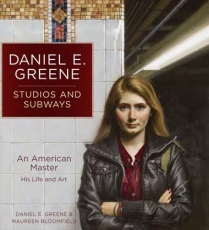 In 1998 Daniel Greene was interviewed in the Academy Award nominated documentary "Ayn Rand, a Sense of Life" and was the subject of the cable documentary "The Genuine Article" as well as a PBS documentary featuring his subway paintings. Mr. Greene's figure and still-life paintings are handled by Eleanor Ettinger Gallery in New York, New York, Cavalier Gallery in Greenwich, Connecticut as well as Nantucket, Massachusetts and Miller Gallery in Cincinnati, Ohio. Highly regarded as a portrait artist, his subjects include leaders of government, banking, education, and industry. A few of the early works include Mrs. Eleanor Roosevelt, astronaut Walter Schirra, author Ayn Rand, and William Randolph Hearst. Some governmental portraits include Governor Scott of North Carolina, Governor Laxalt of Nevada, Governor Beliles of Virginia, Governor Lehman of New York, as well as two mayors of New York City. Some later portraits include Dave Thomas of Wendy's, Governor Fob James of Alabama, commentator Rush Limbaugh, Congressman Billy Tauzin, composer Alan Menken and Bryant Gumbel of CBS. Some recent portraits include john and Adele Lehman for Harvard, Eric Widing of Christie's and Governor Benjamin Cayetano of Hawaii. A partial list of sitters includes the chairmen of the boards of Honeywell, Coca-Cola Company, Dupont Corporation, American Express, the New York stock exchange and IBM. Mr. Greene has also painted the deans and presidents of: Tufts, Duke, Columbia, North Carolina, West Point, Delaware, New York, Princeton, Rutgers, Yale and Harvard universities.